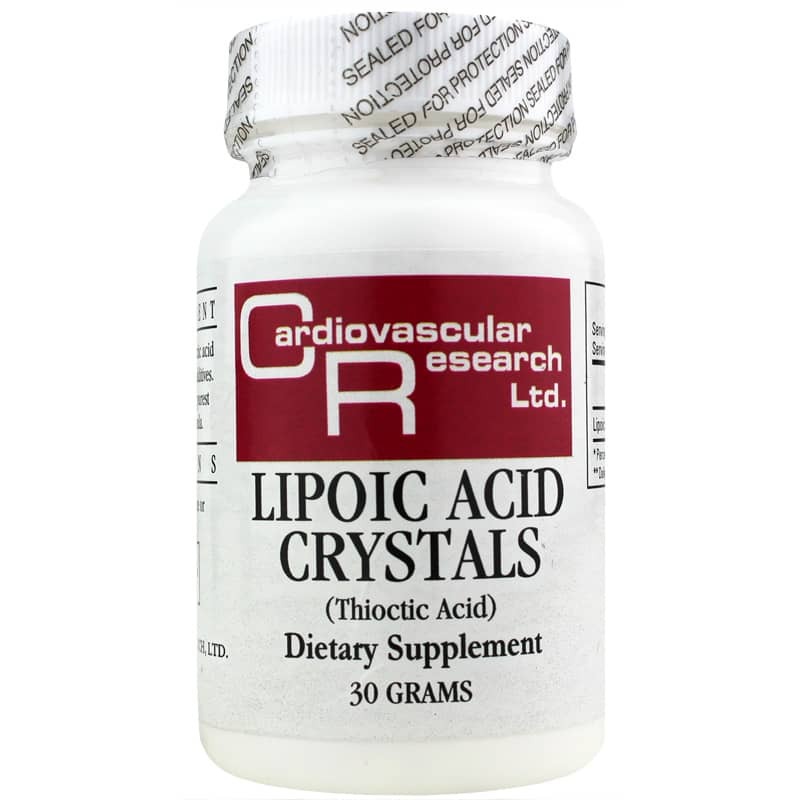 Lipoic Acid Crystals (Thioctic Acid) from Cardiovascular Research is a dietary supplement of pure thioctic acid, also known as alpha lipoic acid (ALA). ALA supports a healthy immune response and helps break down carbohydrates to produce energy for use by organs in the body. It is also a part of the multi-enzyme complex, which plays an important role in the citric acid energy cycle. Some people also believe ALA supplementation may protect cells, cognitive function, heart and eye health. ALA is typically found in spinach and broccoli. 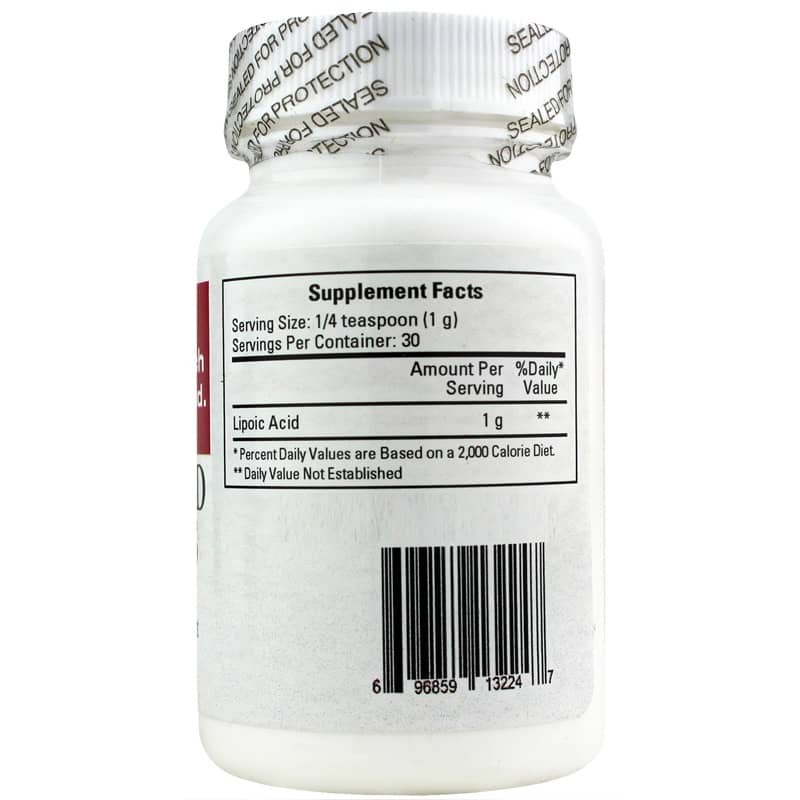 This supplement is free of fillers, binders, excipients or any additives to ensure quality. Taking a dietary supplement of ALA may help fill any nutritional gaps in your diet. 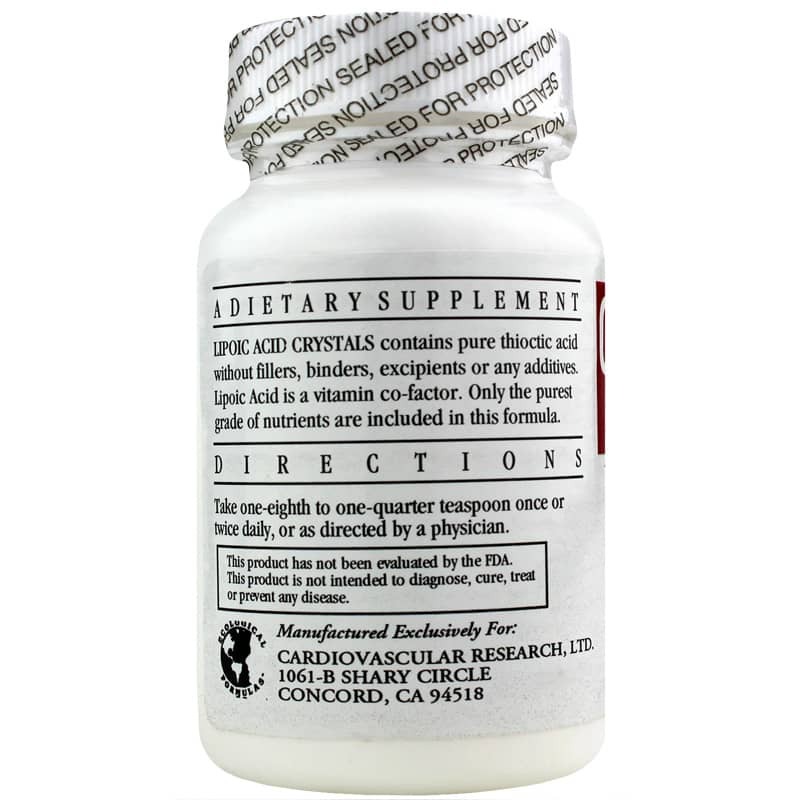 If you need antioxidant support and more, try Lipoic Acid Crystals (Thioctic Acid) from Cardiovascular Research. It may make a difference to your health. Contains NO: fillers, binders, excipients or additives. Adults: Take one-eighth to one-quarter teaspoon once or twice daily or as directed by a physician.